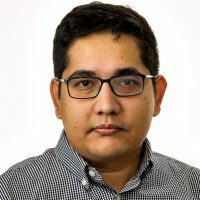 Biography: Dr. M. Ehsan Karim is an Assistant Professor at the UBC School of Population and Public Health, a Scientist & a Biostatistician at the Centre for Health Evaluation and Outcome Sciences (CHÉOS), and a Michael Smith Foundation for Health Research (MSFHR) Scholar. He obtained his PhD in Statistics from the University of British Columbia. He completed his postgraduate training in the Department of Epidemiology, Biostatistics, and Occupational Health at McGill University, and was also a trainee at the Canadian Network for Observational Drug Effect Studies (CNODES). Research: My current research focuses on causal inference and real-world observational data analyses, in both cross-sectional and longitudinal settings; patient-oriented research; survival analysis & survey sampling methodologies; applications of machine learning approaches, big-data analytics and Bayesian methodologies in epidemiologic studies. Publications: Click here for a list of my publications. I am a big fan of scientific collaboration. Feel free to contact me if you are interested in discussing potential research projects or if you have questions regarding my research. Available to Supervise: Please read about my current projects and instructions listed on my website before applying. Only shortlisted candidates will be contacted. 588 – 1081 Burrard St.